CAN'T FIND A WAY TO STORE YOUR FOODS AND KEEP THEM FRESH? Well, you're not alone! Nobody wants to dispose their food, and everybody wants to keep their food fresh. But not to worry anymore, because we have the solution! Stretchy ™ is the Only solution for you to store your food while keeping them fresh and tasty. This is the Fastest & Easiest way to keep your foods tasting great. 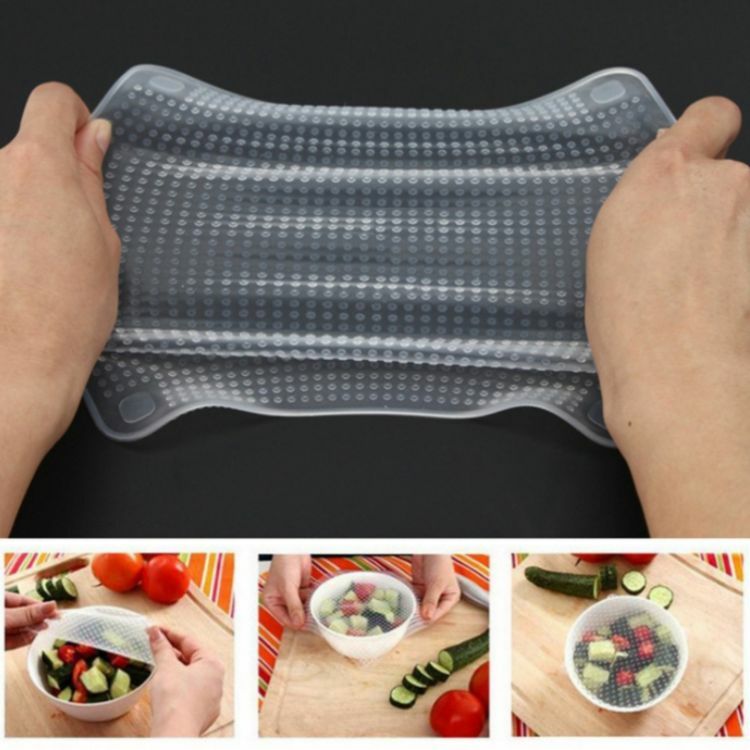 These bowl covers stretch easily and fit on a variety of plates and bowls tightly. Nothing falls out. In addition it can be put in the dishwasher or hand washed with warm sudsy water. They can fit various shaped pots, cups & bowls! Perfect for any leftover foods, fruits and vegetables or unfinished drinks! You can cover your leftover food and keep it in the serving bowl. Besides, it can keep flys off your food effectively. These silicone stretch lids are durable and can be use over and over again. It is more economical and environmental compare with using plastic wrap! No more wasting and struggling with plastic wrap. Stretchy ™ is made from Durable & Stretchable Silicone such that you can stretch it into any shape you like! You could save hundreds of dollars on wraps, foils and food by just using this clever invention.